Paneer Butter Masala Recipe made from Cream's Rich Gravy is a special dish of paneer that you can make on the arrival of the party or special guests. You can make it in many ways. 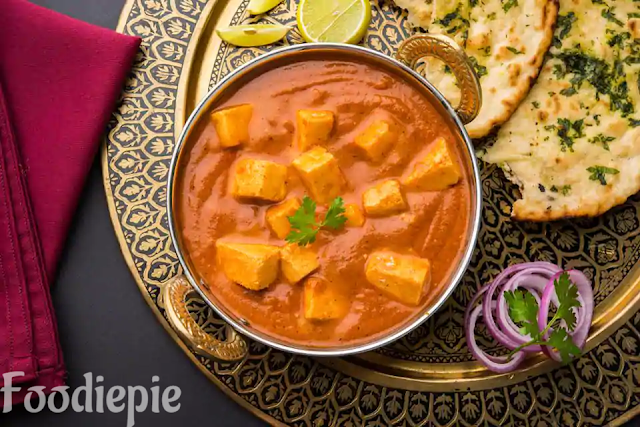 Paneer butter masala, made with the following easy-to-use recipes, is the perfect restaurant style Paneer Butter Masala and the time is too short to prepare this recipe.Let's checkout recipe. Step 1 : Wash all the green chilies and ginger and dry them. Cut the tomatoes in large pieces and put them in the jar, cut the green chilli stems and cut into large pieces and put it in the jar, peel ginger and also cut into large pieces and put it in a jar, and grind it and make a fine paste.Make tomato puree in other jar. Step 2 : Heat butter or oil in large non sticky pan or kadahi and add Paste in it.Frying over medium flame for until paste turns light brown.It will take around 5-6 minutes. Step 3 : Add pinch of red chilli powder. Do not add a spoon or more because we using green chilli in 1 step for making paste. Step 4 : Now stir and cook for 2 minutes. Step 5 : Add tomato puree and cook for 2-3 minutes until oil begins to separates from the puree. Step 6 : Also add cream, garam masala, a little green coriander and salt. Put half a cup of water in the gravy and cook until it starts to boil again in the gravy. Step 7 : When the gravy starts boiling, add pieces of paneer and mix it, and cover the and let it cook for 3-4 minutes on slow flame. Open after 3-4 minutes. Add the remaining butter and mix it. Finally : Paneer butter masala is ready, transfer it to serving bowl and serve paneer butter masala with chapati parantha, naan or rice and eat it.